One of the true gems of the Aegean islands is Amorgos, with it unspoiled beaches and pristine inlands due to the few ferries that arrive at the main and only port of Katapola. Moreover, the rugged natural landscape is ideal for sailing holidays and yacht charters with many beautiful coves and anchorages, one of the most famous monasteries in Greece, a notorious wreck, 800 metres towering cliff faces, and fewer yachtsmen then elsewhere in the Cyclades. 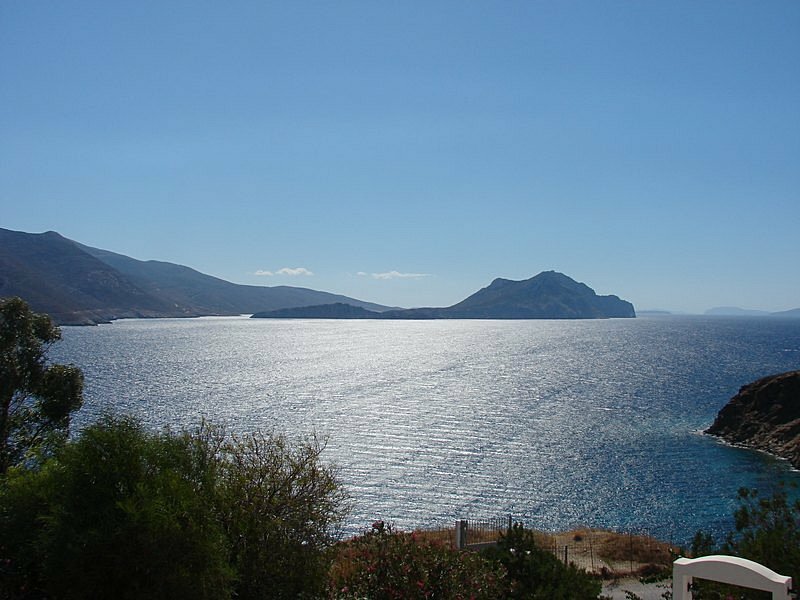 Amorgos is also a logical connection to and from the Dodecanese and should be included in sailing itineraries also when starting yacht charter holidays from Kos or Rhodes, provided the weather in the open strait of water between the Cyclades an the Dodecanese is gentle enough. Certainly in 2 weeks of sailing the Aegean this is highly feasible! Moreover the more luxuriant yacht charters, notably motor yachts, super yachts and gulets motor sailers, will visit Katapola, but - so typical of these yacht charters - these vessels will only briefly explore this island. A pity since it is worth the time to circumvent this whole island and for instance see the Monastery of Panagía Chosowiótissa from the sea - the best angle. Most yacht charters reach the island of Amorgos not via Kos marina but via the charter bases of Paros or Syros and if two weeks then also Lavrion and Athens (the Alimos marina at Kalamaki) near Sounion. Since the adjacent islands are highlights as well it is highly recommended to sail in particular the southern Cyclades and enjoy Santorini, Ios, Sifnos, Naxos and of course Milos! The islands of Santorini and Milos are a treasure for geologists as well due to their volcanic nature and are best explored on sailing yachts and catamarans - multihulls. Despite the more advanced wind and wave conditions many bareboat sailing holidays and yacht charters are purposely organised here around Amorgos.
.: Back to the oneway itineraries :.